Ag-Quest now offers GLP-compliant freezer truck service! Our freezer truck service transports frozen research samples from research facilities located in the Okanogan Valley of British Columbia, Alberta, Saskatchewan and Manitoba to analytical laboratories in Southern Ontario. GLP-compliant, with temperature monitoring from pickup to delivery. The Environmental Fate division was started in 1989. Since that time we have established a reputation for excellence, efficiency and cost-effectiveness which has led us to the forefront of the Good Laboratory Practice-compliant (GLP) research services. 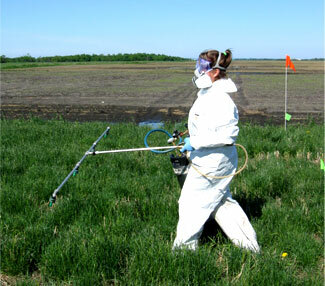 Ag-Quest's Environmental Fate division offers a full range of services to our Environmental Fate clientele, all of which meet or exceed the requirements of the OECD GLP regulations, the United States Environmental Protection Agency (EPA) 40 CFR Part 160 in the Federal Insecticide, Fungicide and Rodenticide (FIFRA) Act, and Health Canada's Pest Management Regulatory Agency (PMRA) Regulatory Directive, DIR98-01, Good Laboratory Practice. Other study types are available by request. All Ag-Quest locations use the same GLP Standard Operating Procedures (SOPs) and forms. This facilitates consistent work across all our locations. 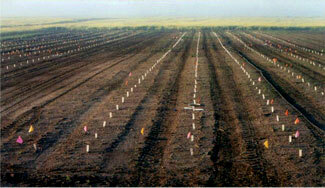 Our SOPs cover all areas of research conducted at Ag-Quest and provide detail descriptions to ensure reproducibility. Ag-Quest's GLP-compliant, SCC-accredited research facilities are located in Western Canada at Minto, MB, Elm Creek, MB, Saskatoon, SK and Taber, AB. These locations allow our researchers to access PMRA / EPA zones 5, 7, 7A and 14. Each facility is built around experienced researchers with the expertise needed to consistently provide top quality results. Additional off-station research sites are used to meet your needs. 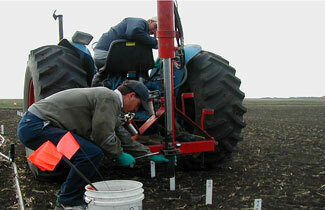 Ag-Quest utilizes both in-house and contract quality assurance services. Services provided include critical phase inspection, final notebook auditing and facility inspection services.